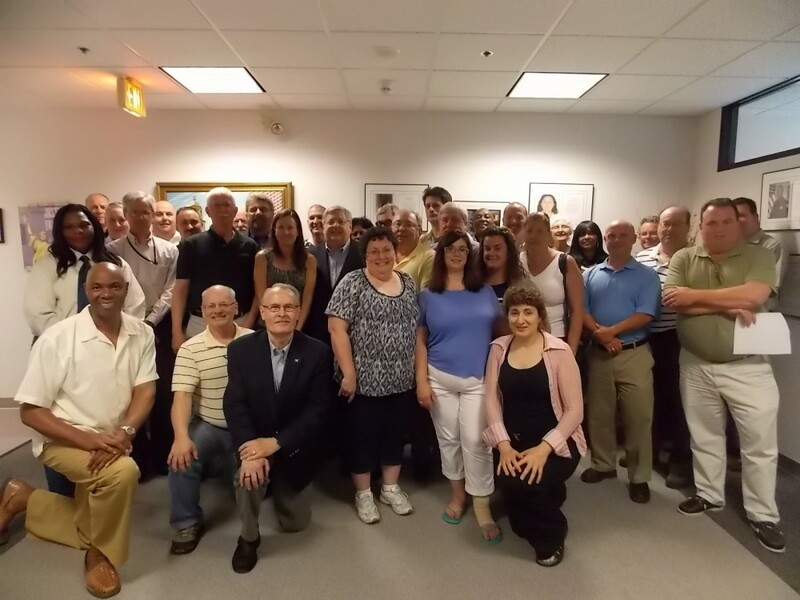 June 20, 2014—Today, negotiating teams from the NAGE state division and the Commonwealth reached a tentative contract agreement covering almost 12,000 executive branch employees for the next three years. The tentative agreement, beginning July 1, 2014, will give employees in Units 1, 3, and 6 a three percent raise next January, a three percent raise in October 2015, and a three percent raise in July 2016. The first two raises include a guaranteed minimum annual raise of $1,700. Those raises would represent increases of up to 6% for lower paid employees in each of those two years. The state will phase in a new tuition reimbursement program for NAGE members in the second and third years of the contract. The state will also establish a funding mechanism to reimburse employees who must hold a professional license for their jobs, such as electricians and attorneys. The state will increase the mileage reimbursement in the latter part of the contract, as well. Click here to see a PDF of the entire tentative agreement. Want to read the tentative agreement? Click here to open a PDF of the entire tentative contract agreement for Units 1, 3, and 6. The negotiating committee for the NAGE state sector reached a tentative contract agreement for nearly 12,000 executive branch employees.